Possibly the best decision of my Netflix-binging life was to watch the first season of Queer Eye last year (all of it, in two days). If you’re unfamiliar, let me break down for you. Queer Eye is the Netflix reboot of the Bravo series Queer Eye for the Straight Guy. The basis of the show is centered around sending a group of gay men that are experts in their various fields to help people (mainly straight men, but the second season’s candidates go beyond that) reinvent themselves. That means redecorating and renovating their homes, teaching them how to cook new things, exposing to new activities, teaching them how to keep themselves groomed, and revamping their style. Think “What Not to Wear,” meets Ellen, meets a YouTube video of two otters holding hands. The show is pure, to say the least. So, who are these sweet angel men travelling the country and changing lives? 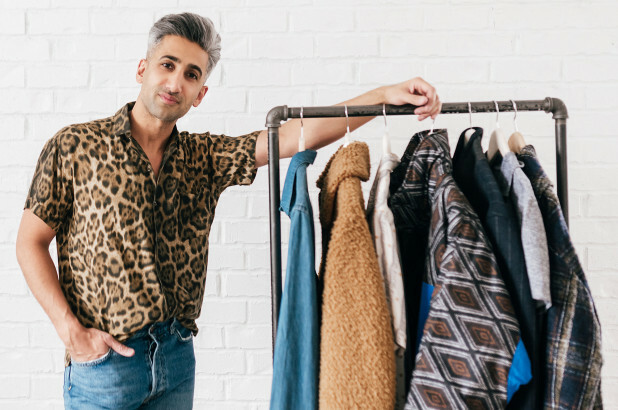 They go by “The Fab Five” and encompass: Antoni Porowski (food and wine expert), Karamo Brown (culture expert), Bobby Berk (design expert), Jonathan Van Ness (grooming expert), and finally, Tan France (fashion expert). While the show itself is mostly lighthearted, the guys have been known to open up about the more serious topics that come with being openly gay. Often times the Fab Five are travelling to small towns in America where homophobia is a lot louder and more aggressive. This has led to a several heart-to-hearts and a lot of crying (mostly on my part). This type of episode usually ends with a made-over man professing his undying love for the Five and something about how gay guys are actually pretty great after all. And while the sentiment is nice (genuine or not), it obviously isn’t going to make too much of a difference in the way of homophobia, with the exception of Tan France. Beyond being the resident fashion expert, Tan is changing things in a different way. The first time I saw Tan on screen, encouraging a macho old white man to wear a button-down shirt with a flower pattern, I knew that he would be one of my favorites. And I was right, because soon after, I fell in love with the way that he loves humanity. His job is to make people feel confident, and he always goes above and beyond that. Tan is kind, genuine, and also happens to be a Pakistani Muslim. In one of the earlier episodes, he beings to open up about the realities of being openly gay and Muslim, reminiscing about how his mother wants him to marry a “nice girl” even though he’s been married to his husband, Rob France, since 2007. It was so refreshing to finally have someone openly claiming all parts of their identity, on such a large platform, in a way that is so different than the stereotypical Muslim narrative. Tan isn’t “the Muslim one.” He’s one of the Fab Five, who also happens to be Muslim. He isn’t afraid to completely be his most authentic self and talk about the actualities of homophobia in the Muslim community; and in a world where the right kind of representation matters so much, Tan is the perfect one to deliver on that representation. Born and raised in England to Pakistani parents, Tan is a rarity both in his confidence and openness. Usually when we see a Muslim on a reality show like Queer Eye, they’re very obviously, purposely Muslim and often perpetuate a plastic version of representation that’s just representation for the sake of representation. But Tan is different because beyond being a beacon of hope for Muslims in general, he also embodies intersectionality within the Muslim community, and is therefore a beacon of hope for all Muslims, not just the straight ones. But obviously Tan isn’t the only one out there challenging the single story of Islam – there are a lot of strong, fearless Muslims who have been at this for years. But with Queer Eye’s second season now out and gaining attention, it opens up a conversation that needs to be had within the ummah which is often swept under the rug. So, Tan, if you’re reading this (which I hope you are – I love you), thank you for helping us rewrite the narrative. Thank you for being yourself and braving everything that comes with it, and thank you for encompassing the true qualities of Islam: Kindness, love, and compassion. And finally, thank you for putting grouchy-looking men in bright patterned shirts, and making them a little less grouchy.